course also introduces students to foundational concepts related to the relationship between culture and power more broadly. Students complete writing assignments in which they analyze artworks (e.g. visual art, literary works, film, etc.) they select from among those discussed in the course. 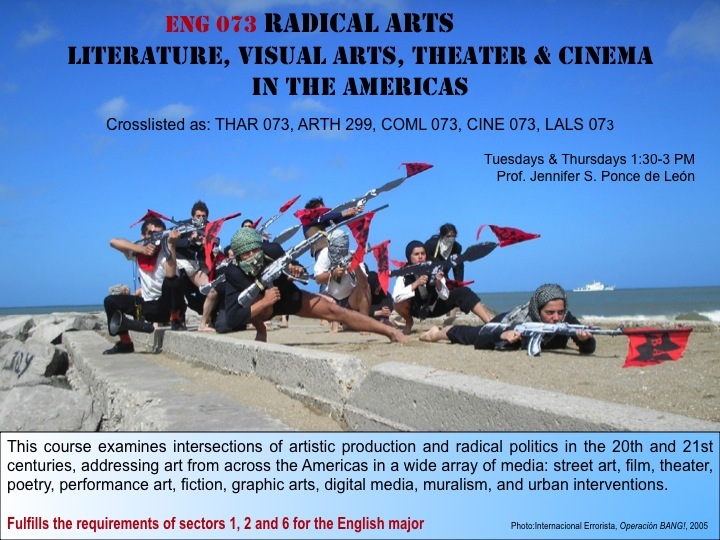 Course assignments also include a creative project: working individually or in groups, students will apply strategies of political art making discussed in the course to design their own artistic project in a medium of their choice. No prior knowledge of this topic or of the visual arts is expected.